capoeira | GLENN RED L.A. 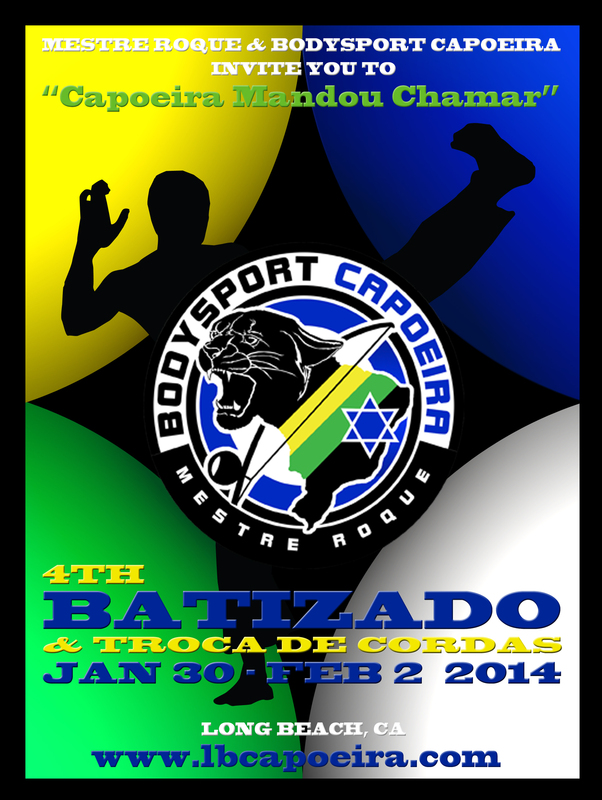 I just submitted this final version of the poster/online flyer that I designed for the annual Batizado & Troca de Cordas at BodySport Capoeira. I’ll also be deejaying the afterparty event on Feb 1st down at their Long Beach studio. I’ve worked with the good folks there on several occasions now and I always look forward to mixing for this group of awesome capoeiristas/dancers/music lovers. This time, I’ll be arming myself with some extra Forró tuneage….BIG thanks to Rebecca Araujo and Mestre Roque for inviting me back!